The best way to prevent being stuck with a messy clogged drain is to prevent it by being careful about what you put into your drain in the first place. These drains aren’t just inconvenient, backed-up water places added stress on waste pipes, shortening their lifespan. Several simple practices can greatly reduce the risk of a clogged drain. 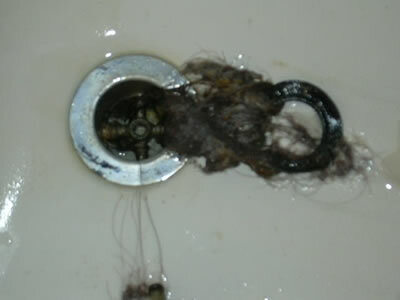 Do not throw the cooking grease down the kitchen drain sink. It might be in a liquid form when you pour it down the sink, but as soon as the sets again, it blocks the drain. Rather save the cooking grease in an old container and dispose of this in the trash. Use a drain-grate or screen to cover the drain’s opening to minimize soap scum and hair going down the drain. When visiting your local hardware store, take a picture of your drain, to ensure a perfect fit. Most of these screen filters simply lay in place. Regularly run hot water after every time you use the sink. The hot water loosens the fatty materials from the pipes that causes drain clogs. Bicarbonate soda (also known as baking soda) is an excellent cleaning agent. Throw a handful of baking soda down the drain, followed by a cup of vinegar. Let that sit for a while, and then pour piping hot water down the drain regularly to prevent small clogs turning into big ones. If you do not have a screen for your bathrooms drain, remove the hair build-up in the shower after you are done showering to avoid a drain clog. Do not flush anything other than sewerage and toilet paper down the toilet. Popular store bought chemicals for drain unclogging can be used, but follow the directions on the product to the t. Use a VERY small amount, as too much can harm our drainage system. Fill up all the sinks and bath tubs in your home and pull all the plugs in quick succession. The volume of the water will push through the drainpipe with force and will do a good job of unclogging the drain. 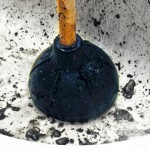 Applying some of these tips will ensure your drain to stay clog-free. For assistance with these drain clogs, contact our 24 hour plumbing line for one of our qualified plumbers to assist you with cleaning your drain.